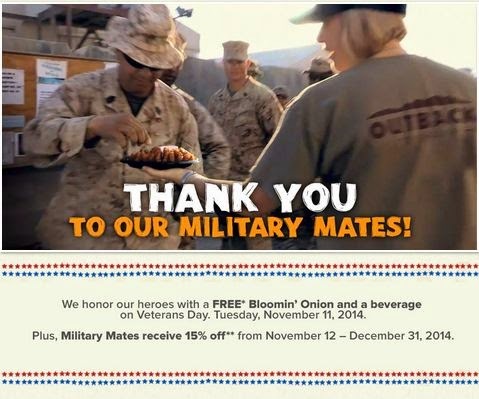 Thank you Military Mates! Free Bloom Onion & a beverage @ Outback. Click the link below to locate your nearest Outback.